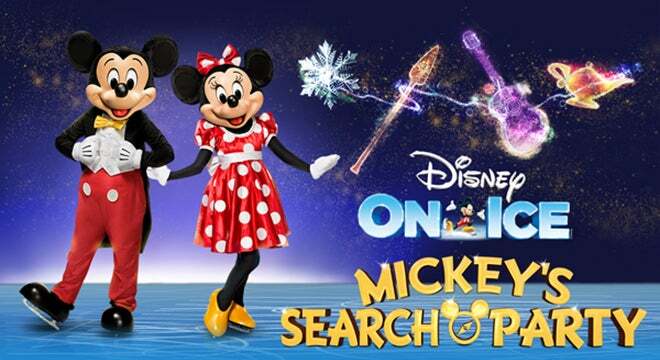 Embark on a quest with Mickey Mouse and pals as they follow Captain Hook’s treasure map for clues to find Tinker Bell after he attempts to capture her magic. Journey across the Marigold Bridge with Miguel from Disney Pixar’s Coco into the magnificent and mystical Land of the Dead and discover a vibrantly colorful performance with skeletons atop sway poles dancing over the audience in a beautiful cultural celebration of family. Travel to the wintry world of Arendelle and sing along with Elsa as video projection creates a kaleidoscope of crystals to help build her ice palace. Witness Belle lift into the sky as the enchanted chandelier comes to life high over the ice for onlookers seated above and below. Demonstrate the power of teamwork when Buzz Lightyear, Woody and Jessie recruit the Green Army Men and the audience for a daring rescue in Andy’s room. Board the Jolly Roger and laugh hysterically as the hilarious pirates flip, tumble, and twist on air tracks, stilts and more in an effort to showcase their talents for Captain Hook. Sail away with Moana on her daring voyage across the ocean and bravely encounter the fiery wrath of Te Ka. And make memories with your whole family during Aladdin and The Little Mermaid as the search party becomes an all-out celebration.